Good riddance to cancer treatment (September 24, 2010 — March 7, 2011). 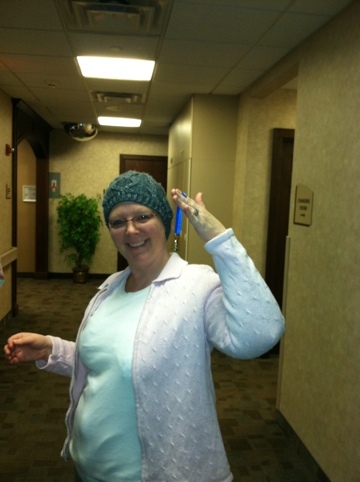 Can’t believe it, but Shannon just had her very last radiation treatment. 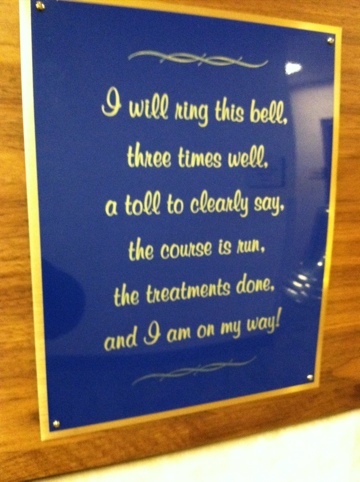 They have this tradition, where patients ring a bell to tell the world that treatment is over. We’ll still need to see doctors off and on for at least a year, but now we can focus all of our energy on recovery. 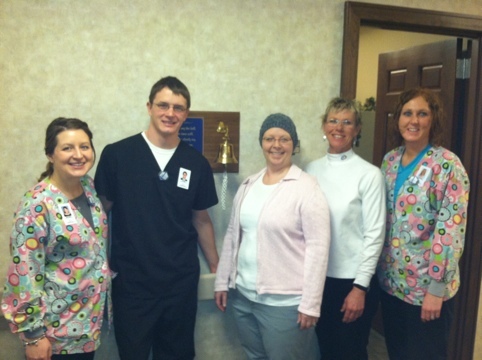 Three cheers for the Radiation Team! Congratulations!! I have goose bumps. I’m so happy for you both. Here’s to the end – it’s been a long time coming. Go out and celebrate tonight!